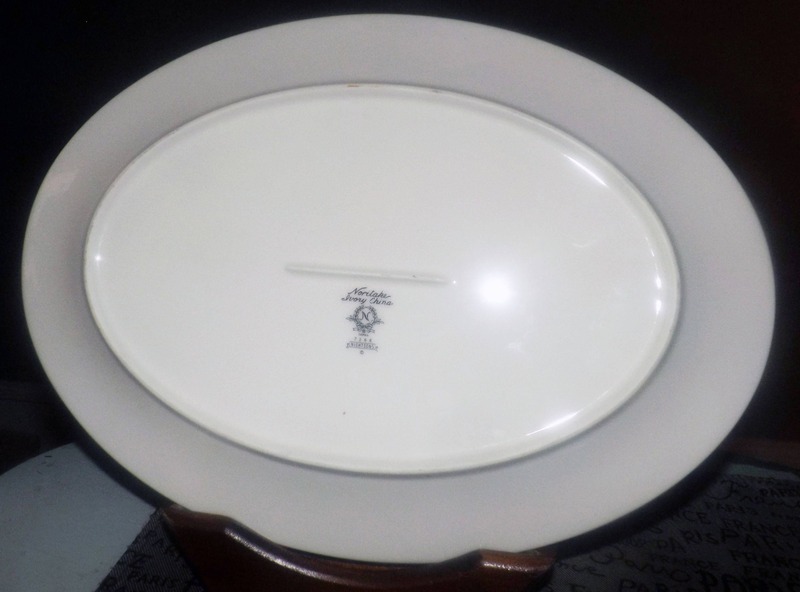 Vintage (1980s) and very hard to find Noritake Nightsong pattern 7268 oval vegetable or meat platter. 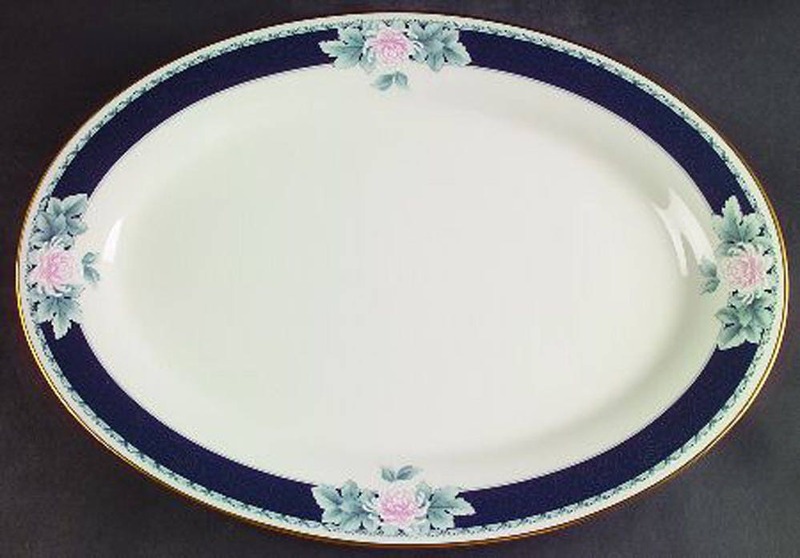 Made in Japan and part of Noritake's Ivory China line, Nightsong 7268 is a beautiful floral pattern that features a blue band with blue-gray leaves and pink peonies with a gold edge and gold accents. In EXCELLENT! and seemingly unused condition with NO! chips, nicks, cracks or fleabites, NO! crazing, NO! loss to the gold edge or accents and NO! marks, stains, scratches or other signs of use or wear. The inside bowl is clean as a whistle and the pink rose florals, gray leaves and blue band are bright and vivid with NO! fading apparent. Immaculate! Approximate measurements: 15" x 12" (measured edge to edge) with a smooth, gold edge.